We encourage Mayo Clinic employees and students to create personal online profiles on social networking sites such as Twitter, Facebook and LinkedIn. We especially urge physicians to claim and complete profiles on Doximity. Personal profiles should use personal names as the user names and personal pictures for the avatar/profile photo, not the Mayo Clinic logo. Some specialty groups or service lines may be interested in creating accounts to officially represent Mayo. If your group has that interest, contact the Center for Social Media before moving forward. MCCSM provides expert consultation about the pros and cons of create a unique account, as well as help developing a plan for strategic implementation and engagement. Can employees use Mayo Clinic's name or logo in their personal social media profiles? 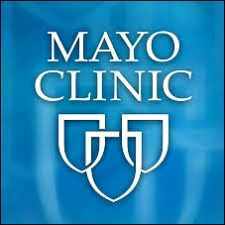 Unless approved by the Center for Social Media, employees' social media name, handle and URL should not include Mayo Clinic’s name or logo. Mayo Clinic strongly encourages its employees and students to create personal online profiles on social networking sites. But there are limits. Personal profiles on social media should use personal names as the user names and personal pictures for the avatar/profile photo, not the Mayo Clinic logo.